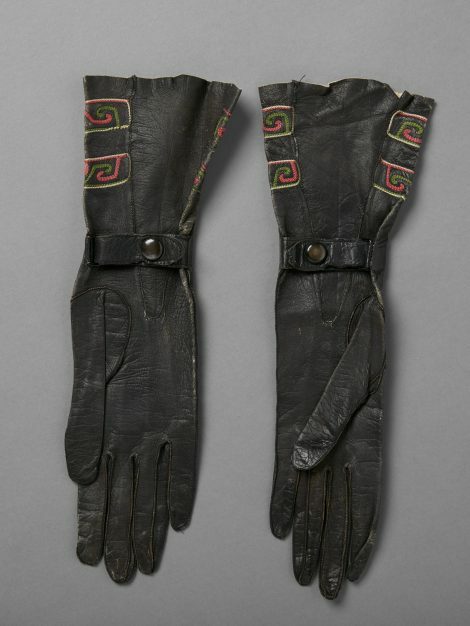 These gloves, from the prestigious glove supplier Alexandrine, were made from very soft unlined kid leather which moulded itself to the hands in a flattering manner. Their length, which was subject to the fashion of the day and the sleeves of the garment with which they were being worn, also flattered the hands. On the palm side of each glove, an inserted godet provided width to facilitate the insertion of the hand, while a strap across the inner wrist, fastening with a press stud, ensured a close fit. 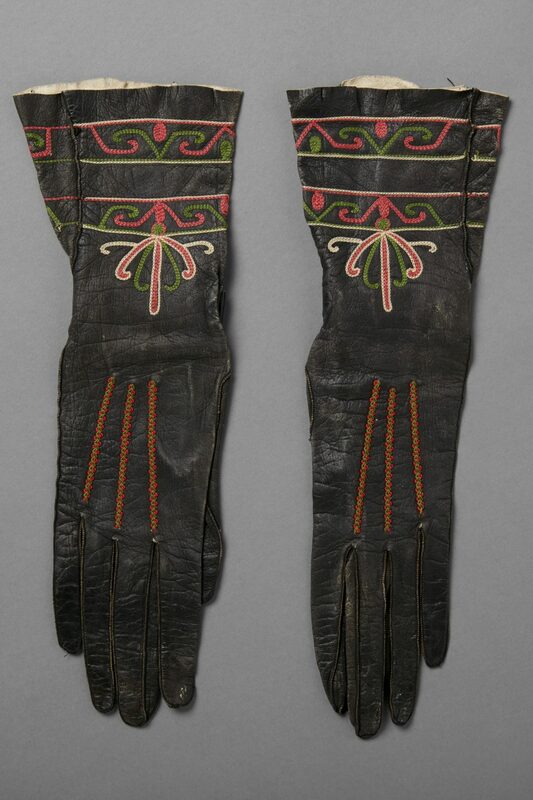 The contrast of the strong green, coral and cream embroidery against the dark leather was very much a feature of fashionable late 19th century gloves, as were pronounced bands of stitching (in this case intertwined coral and green fine cord) on the back of the hand. 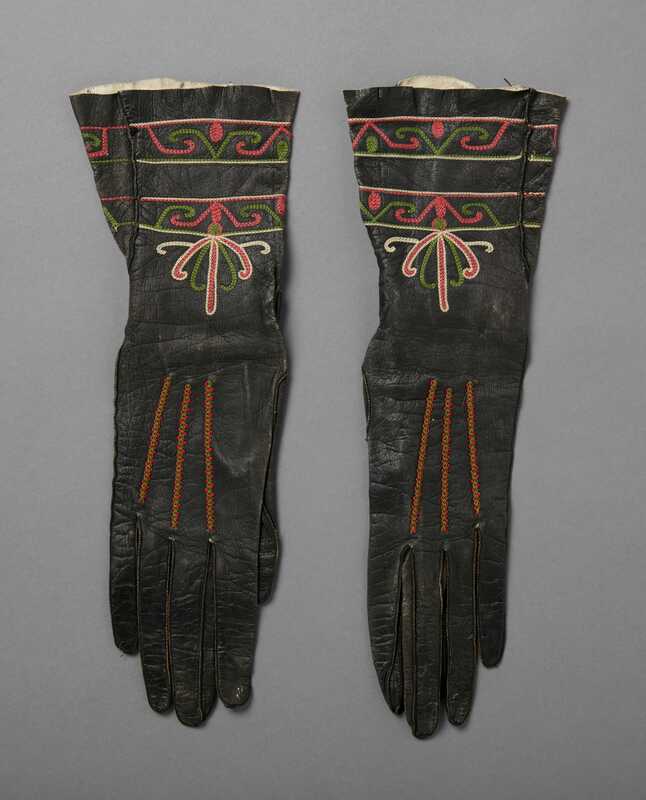 The embroidery motifs, which though non-naturalistic have the appearance of an exotic plant, were worked on a Cornely machine which produced a chain stitch, and which was widely used in the fashion industry from the second half of the 19th Century. The paper used to transfer the design still remains in places on the reverse of the embroidery.